In October 1843, Charles Dickens (Dan Stevens) was suffering from the failure of his last three books. Rejected by his publishers, he set out to write and self-publish a book he hoped would keep his family afloat and revive his career. 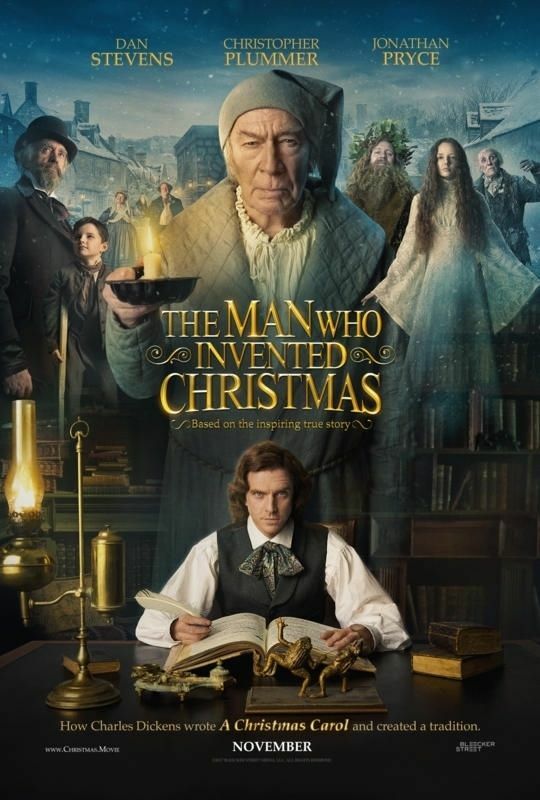 Directed by Bharat Nalluri from Les Standiford’s book of the same name, The Man Who Invented Christmas tells the story of the six fever-pitched weeks in which Dickens created A Christmas Carol. The film takes audiences inside the magical process that brought to life Ebenezer Scrooge (Christopher Plummer), Tiny Tim and others, changing the holiday into the merry family event we know today. Read more on Wikipedia.